Over the past 100 years, the French worker’s jacket has gone from a practical garment worn by the working class to an everyday item for city-dwellers and a point of inspiration for luxury brands. Blackhorse Lane has recreated the French worker's jacket from a vintage pattern. Photograph by James Munro. No clothing category has had such a meteoric and widespread rise in recent years than traditional workwear, in what can only be described as an overarching casualisation of dress codes. That’s largely thanks to its practical nature – they were originally designed to be hard-wearing, comfortable and allow for free movement – as well as the relaxing of traditional class attire. Take the Royal family as an example: Prince Charles wouldn’t be caught dead in denim, and yet both William and Harry seem to relish at the opportunity to throw on a pair of jeans. Although denim, checked shirts, safety boots and knitted fishermen sweaters have been ubiquitous among inner-city wardrobes for decades, one more recent addition is the French worker’s jacket, easily distinguished by its often vibrant ‘hydrone’ hue. As its name suggests, the worker’s jacket was originally designed as a utilitarian garment, first worn by railway labourers and engineers in France in the late 1800s. The French name – bleu de travail – literally translates to 'blue work', underpinning its function as practical outerwear for the proletariat. 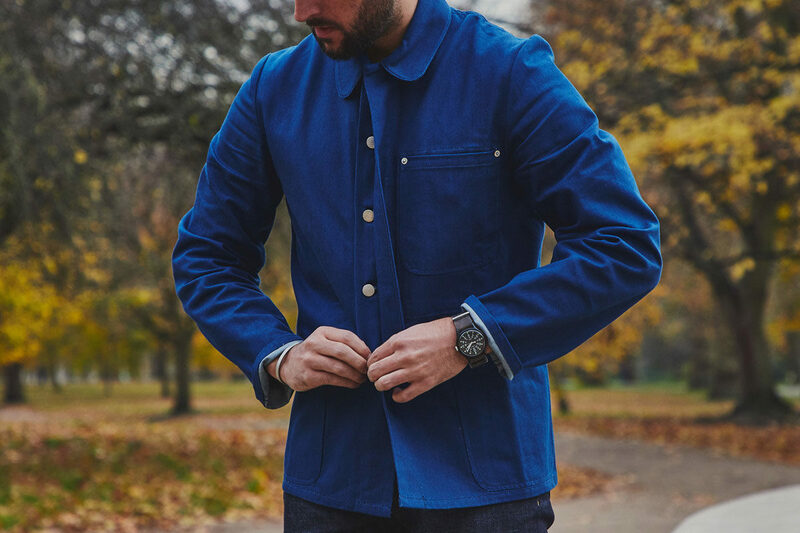 Traditionally made from hardy cotton drill or moleskin, this jacket could withstand the tough demands of physical jobs, and any holes were simply patched up with other pieces of cotton. Loose in fit, it could be worn as a protective layer over other clothes, with buttons up the front and at the sleeve to allow for rolling, as well as three or four patch pockets for storing small tools and loose parts. While early iterations were not labelled, certain brands started purpose-making them in the early to mid 20th century, including Le Mont Saint Michel, Vetra and Le Laboureur, which still operate as workwear brands today. 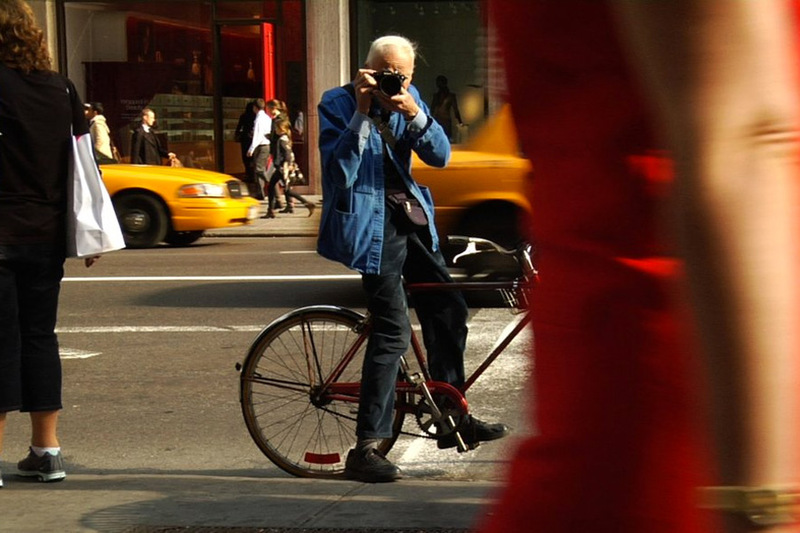 There are glimpses of the blue chore jacket in film throughout the past five decades, including Paul Newman as a rebellious inmate in Cool Hand Luke, but no wearer stands out more than famed street style photographer Bill Cunningham. But to say the roving The New York Times staffer was a champion of the jacket is perhaps a little misleading, as his decision to wear the bleu de travail wasn’t a style statement. Like those who wore it before him, Cunningham saw it purely as a practical garment – he could run, cycle or crouch in it, and yield his camera with free-flowing movement in the arms – and reportedly picked it up for $20 from a hardware store in Paris. After his death last year, The New York Times described him as a living landmark: “His bony-thin frame draped in his utilitarian blue French worker’s jacket, khaki pants and black sneakers (he himself was no one’s idea of a fashion plate) with his 35-millimeter camera slung around his neck, ever at the ready for the next fashion statement to come around the corner.” Although Cunningham was not an intentional style icon, there’s no doubt that he inadvertently stoked the popularity of the garment in recent times. Many of the blue chore jackets spotted around capitals are likely to have been picked up second-hand at a vintage store, or even from one of the original makers. But like its workwear peers, brands and tailoring houses have also created modern interpretations of the garment. Savile Row tailor Anderson & Sheppard has deviated from its traditional suiting to create a blue hopsack iteration as part of its ready-to-wear collection, made with three front pockets, black buttons and in a suitably slouchy fit. French brand Berluti has gone one step further, taking inspiration from the bleu de travail and creating an ultra-luxurious black wool version, yet with all the traditional trimmings. Whether worn casually with jeans, a T-shirt and sneakers or, as Han suggests, more formally with a shirt, the French worker’s jacket is proving itself to be a versatile wardrobe piece – regardless of whether or not one intends to muck in. Bill Cunningham's signature look: French worker's jacket, camera and bicycle.